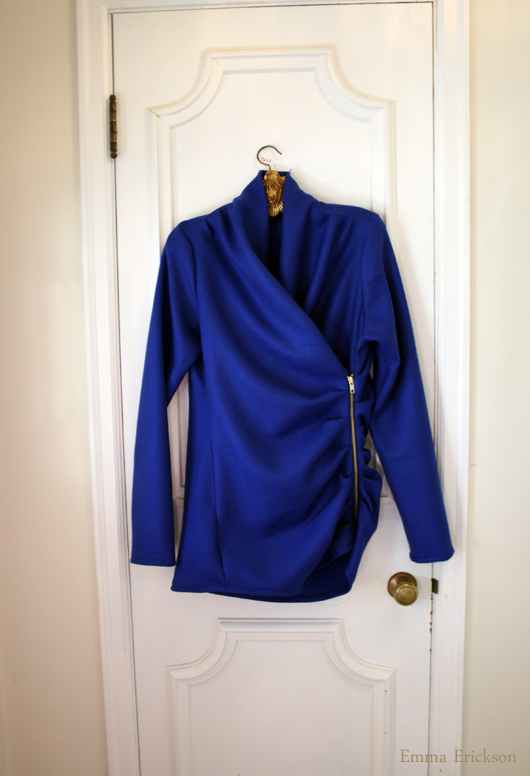 Here is a Royal Blue Double Zip Sweater that I finished a couple of months ago for a client. It is made out of a beautiful 100% wool with a soft hand and a nice stretch on the bias. The zippers are YKK #5 brass separating with a gold finish. I blurred out my client's name, but you can see the custom label I made for her. You probably wouldn't guess from the photos, but this style is quite form fitting. 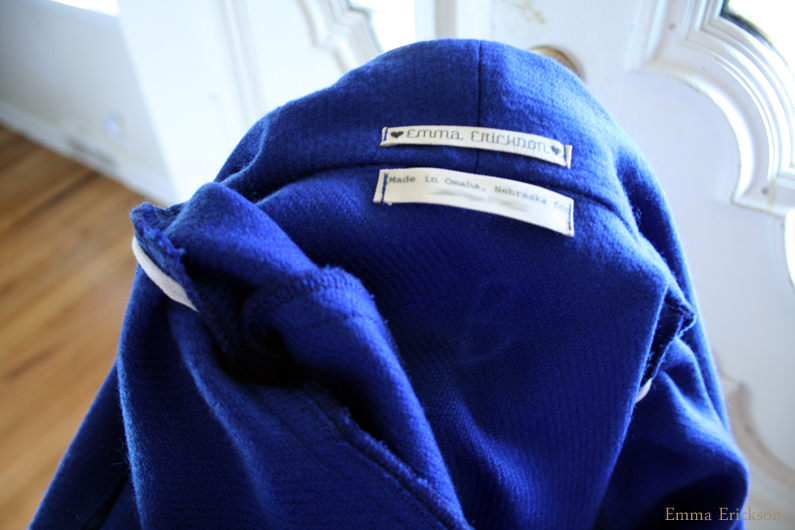 The front panels with the double zips and tucks hug the midsection. 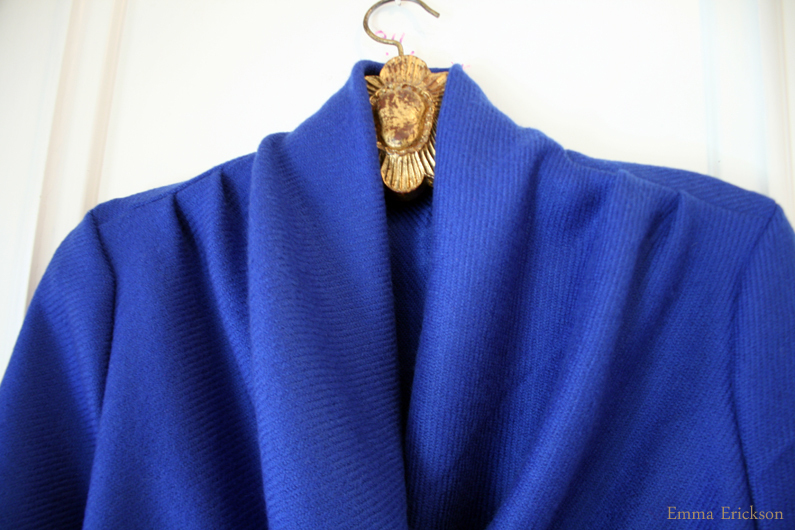 The royal blue is divine, and it feels warm and soft on, but is sharp and clean looking. beautiful - the work and the color! yes! i love this. and i love that emma erickson/made in omaha tag. :) <3!